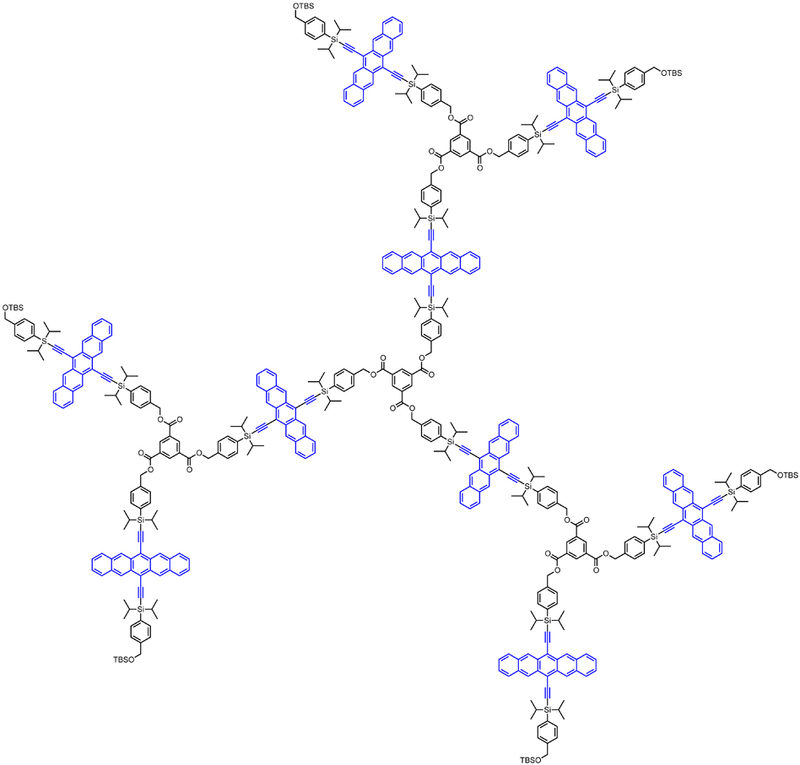 The incorporation of the pentacene chromophore into oligo- and polymeric materials can aid in achieving stable, soluble materials towards improving the processability  and device performance of pentacene-based materials. A variety of synthetic methods were developed to achieve these goals and ultimately utilize pentacene-based oligomers and polymers in a variety of optoelectronic devices, including photodetectors. Figure 1. 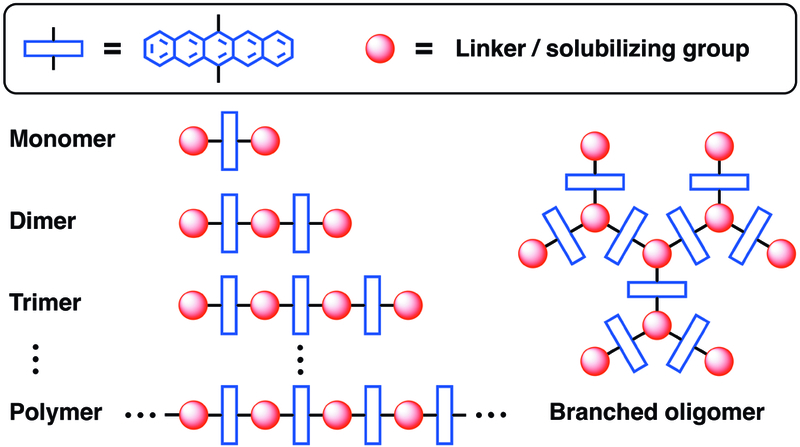 Pentacene-based materials, linear and branched oligomers as well as polymers derived from a common building block (monomer). The solid-state organization of a chromophore (morphology) can strongly influence the properties of a substance. Pentacene-based dendrimers  were designed and realized towards controlling the relative organization of the chromophores in the solid-state to improve the performance of pentacene-based photodetectors. Photodetectors based on thin films of these new dendrimers reveal increased photocurrent and photocurrent yield (photogeneration efficiency) in comparison to analogous linearly connected pentacene-based polymers. Figure 2. (a) Schematic diagram of pentacene-based photodetector, (b) photocurrent response and (c) photocurrent yield as a function of wavelength. Figure 3. Chemical structure of pentacene-based dendrimer 2.